Marilyn Santos spent all of last Tuesday Christmas shopping before making her final stop at the K-Mart in Hollister. The single mother of four children had been taking her children to different shops so they could pick out gifts for their teachers and classmates. When they finished, the family walked out into the parking lot and couldn’t find the family car. 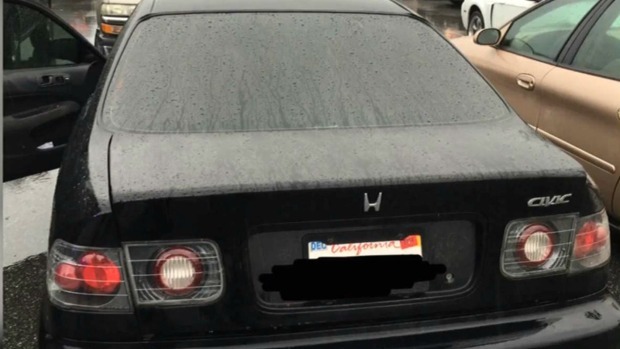 Santos' Honda Civic had been stolen. "It had all my kids gifts there, and I just started crying," Santos said. Three car seats recently gifted to Santos by her parents were also stashed in the sedan. "I worked so hard to buy that car,” Santos said. The next day, a Morgan Hill police officer was driving near the Target located on Cochrane Road. The license plate reader mounted to the top of the squad car pinged when it passed a black Honda Civic. It was Santos’ car. Officers say the couple driving it entered the Target and tried to buy items with a stolen credit card. 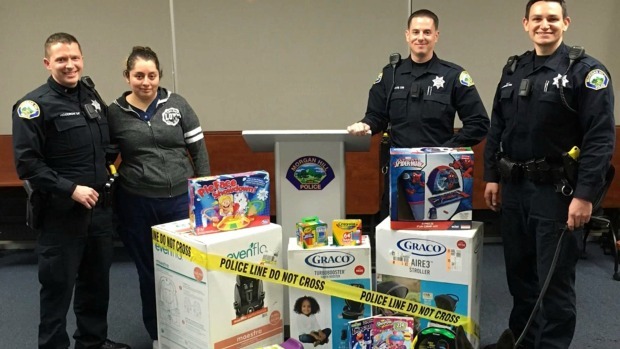 When that didn’t work, officers say the couple shoplifted the goods and returned to the car. That’s when officers took both of them into custody. Police say they found stolen mail and credit cards in the car, but no presents. That's when they commissioned a new operation. "(Santos) was victimized once when the car was stolen and we didn't want her victimized again," Morgan Hill police officer Chris Woodrow said. 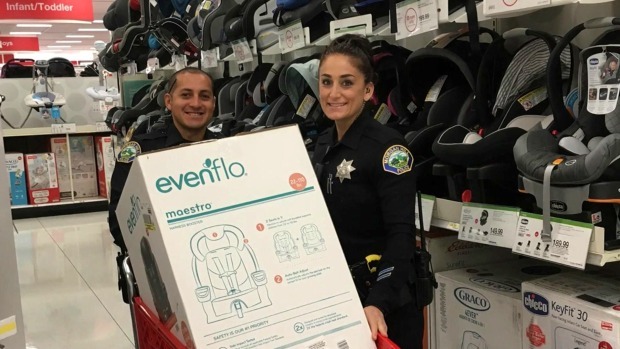 Woodrow and members of the Morgan Hill Police Officers Association joined with Target to buy car seats and some gifts for the mother. Then, Woodrow called Santos and asked her to come into the police department. "When she walked into the room her reaction was priceless," Woodrow said. Waiting for Santos were three brand new car seats, a stroller, and a gift for each of her children. She cried seconds after entering the room. "Because I had never in my life gotten any gifts like that,” she said, as tears brewed in her eyes. Last week, Santos gave up hope on her car and Christmas. Now, she’s full of hope. The couple arrested for stealing the car were identified by police as Luis Vasquez and Patricia Vaquera. Officers say they were booked into jail on suspicion of committing multiple felonies including car theft, possession of burglary tools, identity theft, false identification to police, illegal weapons, and narcotics crimes.